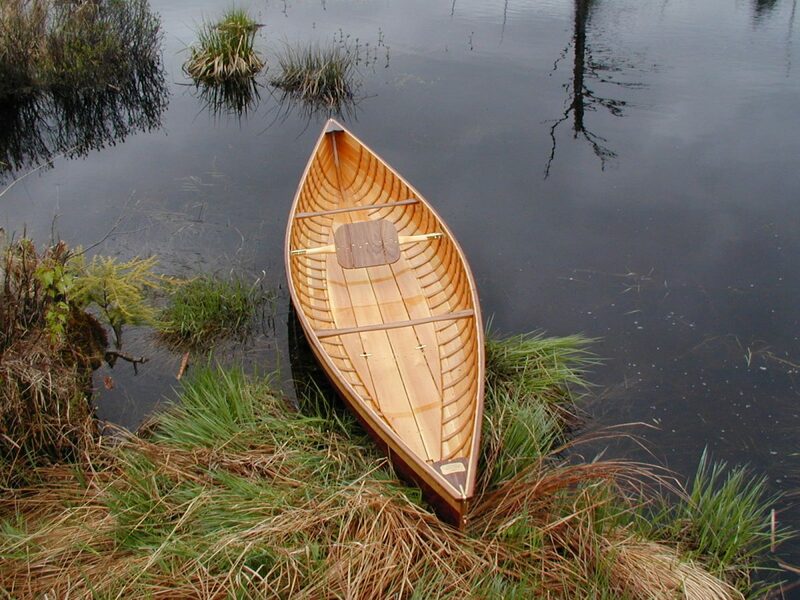 11' Skimmer - Northwoods Canoe Co. The Skimmer is built in three different style as described below. The most popular version is the Wood /canvas version. 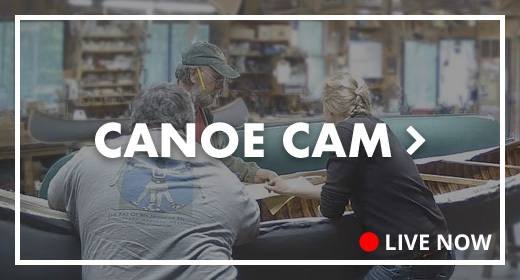 All the hull shapes are the same and have the same characteristics but each has its own visual quality, a little different weight and durability. A lightweight, solo sport canoe, ideally suited for just messing around. Its shallow arched bottom makes it a very maneuverable boat with good tracking ability. 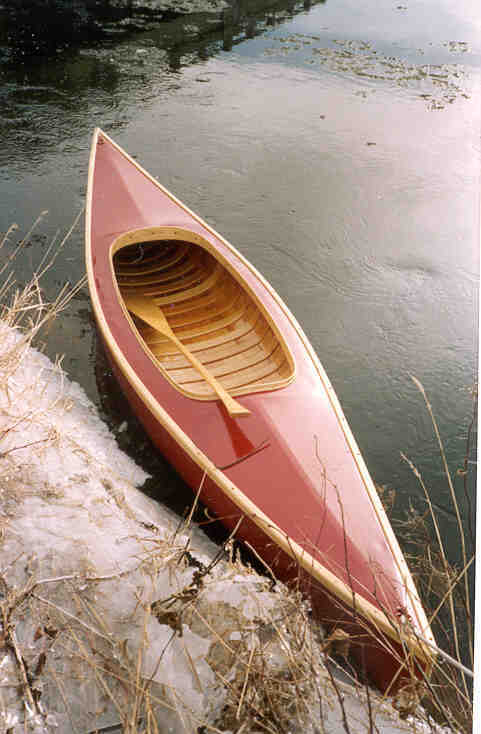 A comfortable canoe to practice your paddling skills, to use for private exploring or as a child’s canoe. 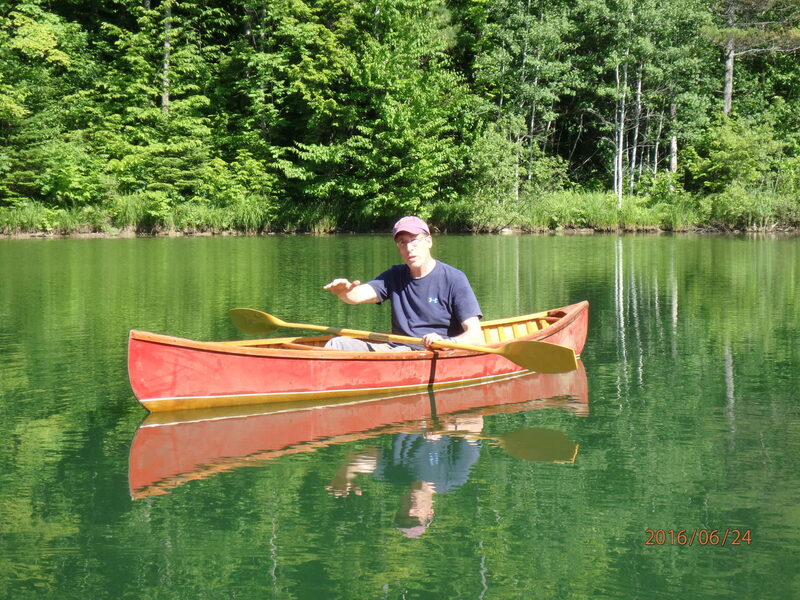 Most often it is paddled seated with a kayak paddle, but more skilled paddlers can kneel or use the low seat. 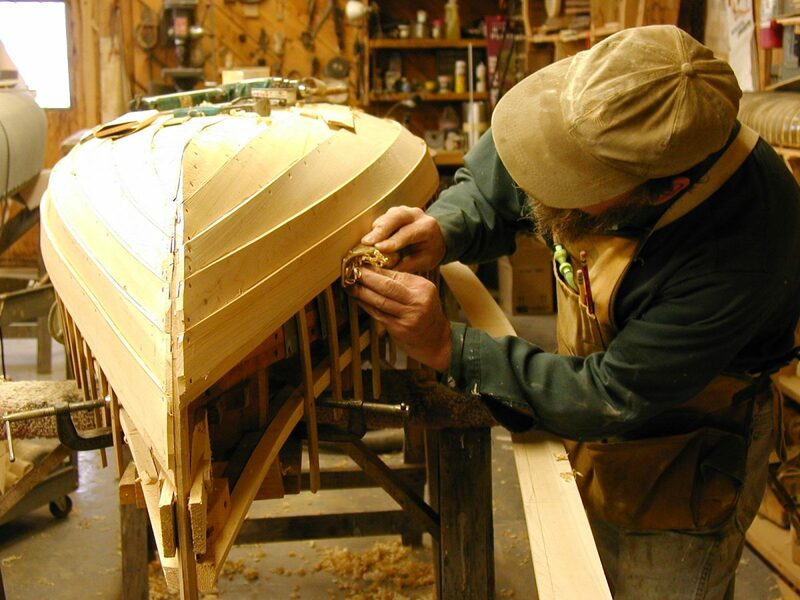 The Skimmer is also available as a modified kayak, with a wood frame and canvas cover fitted over the top of the hull. A generous four-foot cockpit opening makes for easy entry and exit. 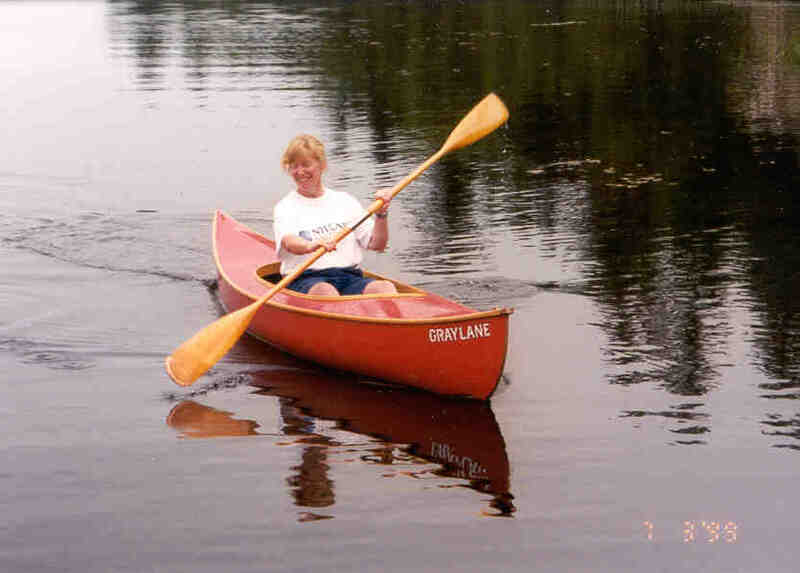 With or without the kayak covering, the boat is easily maneuverable by either a single canoe paddle or the popular double-bladed kayak paddle. 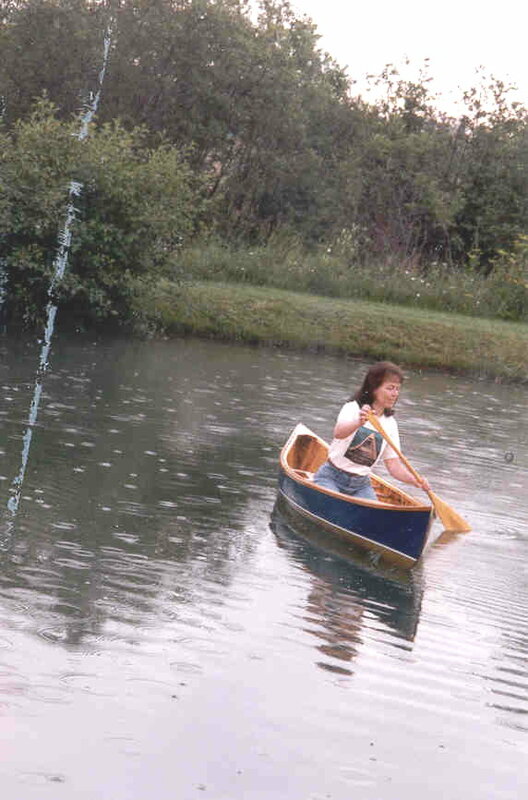 In the tradition of the historic and popular Wee-Lassie canoes, I have designed a method for building a traditional all-wood lapstrake canoe from the Skimmer form. 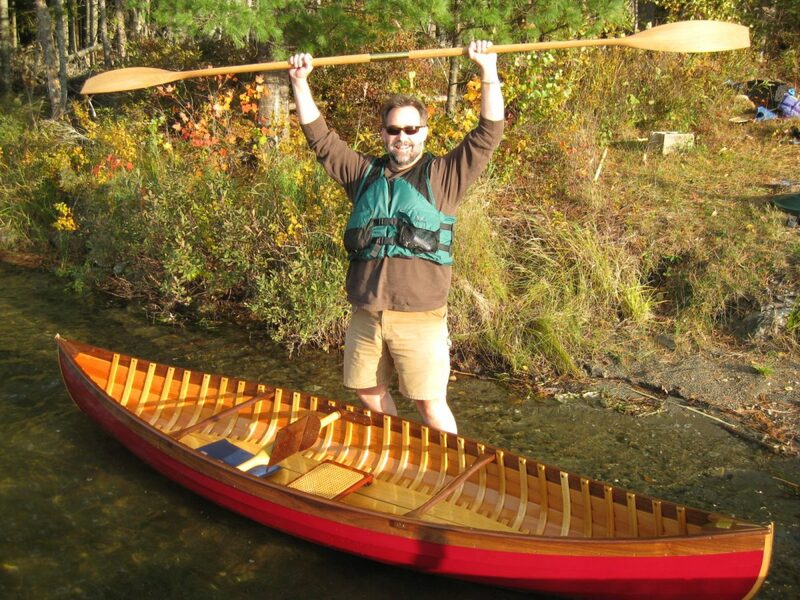 This building method is unusual and results in a very handsome and pleasant lapstrake canoe that weighs only 29 pounds. The vertical-sawn white cedar planking is 7/32″ thick and is fastened to the 1/4″ ash ribs with brass clinch nails. A mahogany or cherry sheer plank may be used to accent the sheer line. 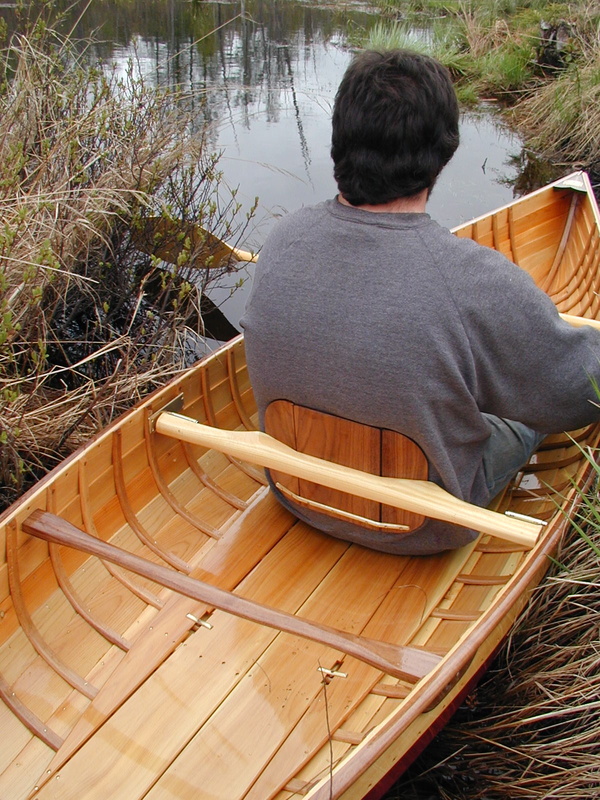 The cedar floor rack and back rest make it comfortable to sit and use a double-bladed paddle.